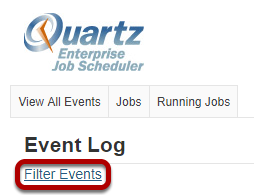 Sakai Community DocumentationSakai 12 Administrator Guide (English) Job SchedulerHow do I filter events? Zoom: Set the desired filters. 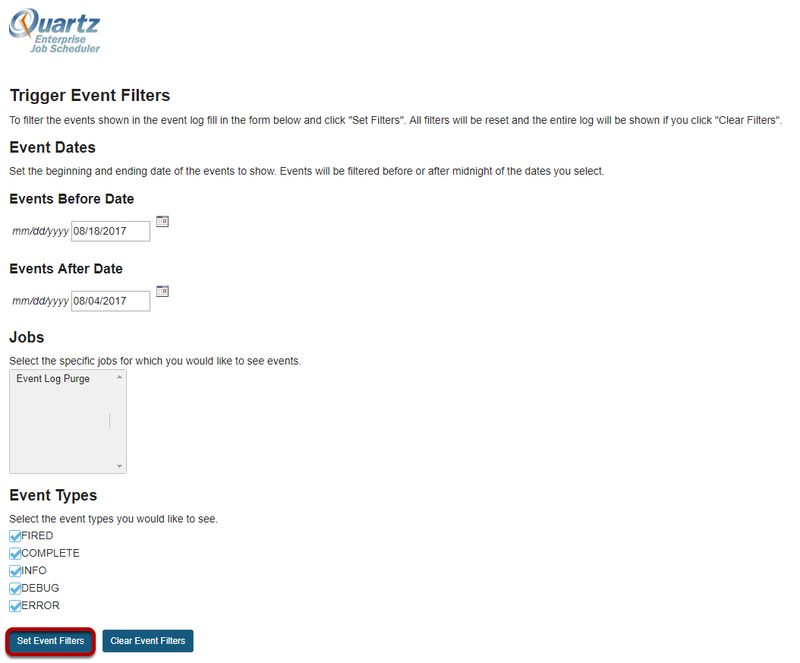 Prev: How do I view the event log? Next: How do I view jobs?